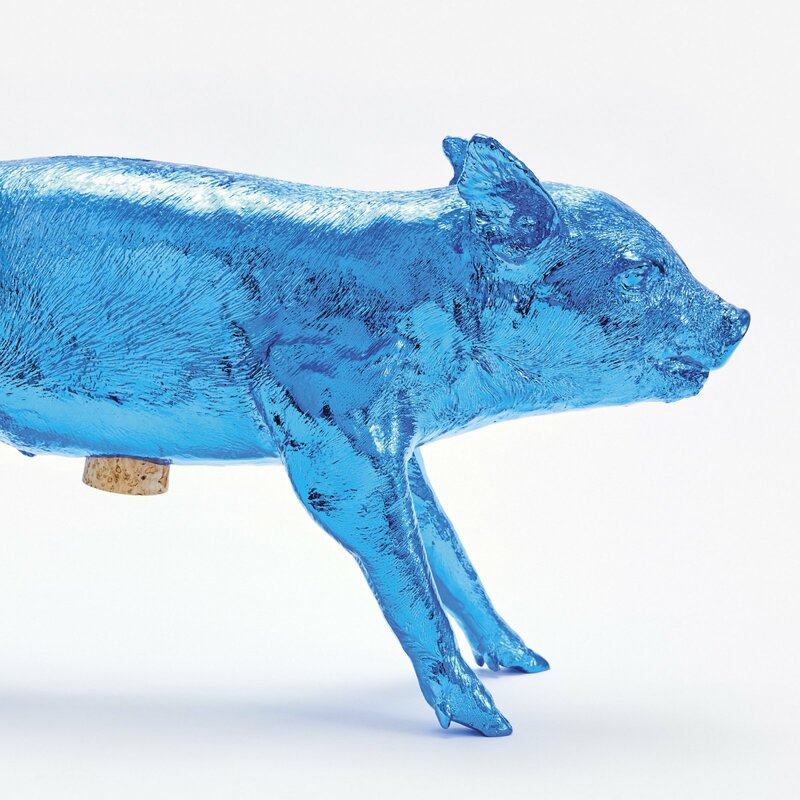 Meet the piggy bank that looks like a piece of modern art. One that is actually included in the permanent collection at MoMA, New York. 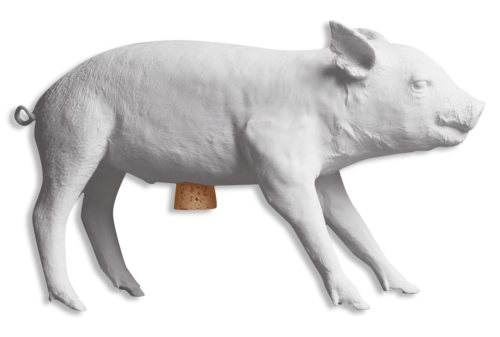 Created by designer Harry Allen and made by Areaware, this ultra-realistic piggy bank doubles as a sculpture. The design is based on an actual piglet that has died of natural causes. As a result, the design features an incredibly amount of detail to grab the attention of your guests and friends at a glance. 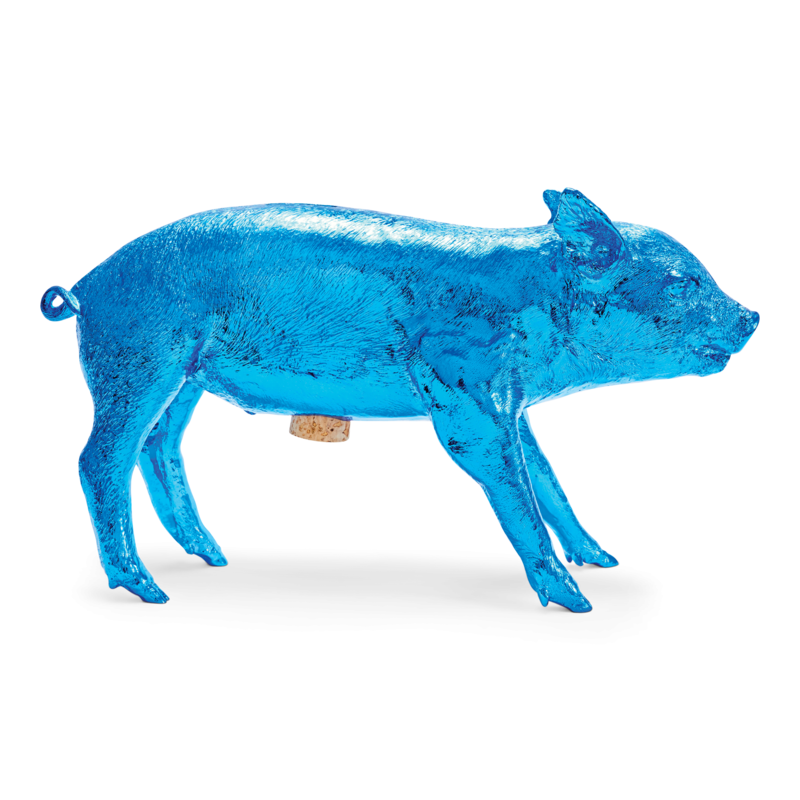 More than just an artistic decorative object, Bank in the Form of a Pig will help you save your dough for the things you love. The piggy bank is made of resin and marble, with a cork stopper added at the bottom. Use it to store smaller coins or to stash up to $10,000 in bills – either way, your savings will never look cooler. Available in matte and chrome finishes. Gessato is an authorized retailer of Areaware products. We purchase all of our Areaware products directly from the company in order to bring you genuine items that represent the best in contemporary design. Every Areaware product in the Gessato shop is authentic, comes with official brand packaging, manufacturer’s warranty (where applicable), and is sold with Areaware's authorization.